This hotel is in major need of a refurb and deep clean. The carpets in the room are horribly stained The wall paper and furniture has had a fair amount of wear and tear and looks shabby. 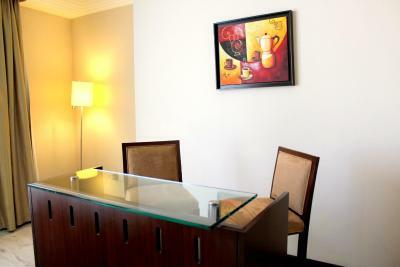 spacious room, most friendly staff specially reception dept. will accommodate guest warmly. Staff was very helpful specially Nabeel receiption guy. We were there for only a few hours to rest and then get back to our flight. It server our purpose. It’s close to Souq Waqif which was nice. Enjoyed the walk there. The hotel was very clean and the staff very courteous. 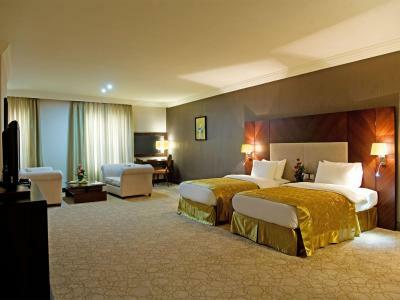 Swiss-Belhotel Doha -Qatar This rating is a reflection of how the property compares to the industry standard when it comes to price, facilities and services available. It's based on a self-evaluation by the property. Use this rating to help choose your stay! 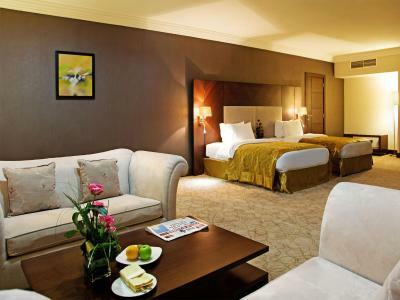 Only a 10-minute drive from Doha International Airport, the Swiss-Belhotel has spacious accommodations with flat-screen TVs. It features an outdoor pool, a gym and free Wi-Fi in all areas. Free parking is available. The spacious rooms at the Swiss-Belhotel Doha–Qatar feature a modern interior decorated with warm colors and dark wood furniture. All rooms have a minibar, a work desk, a safe and an electric teakettle. 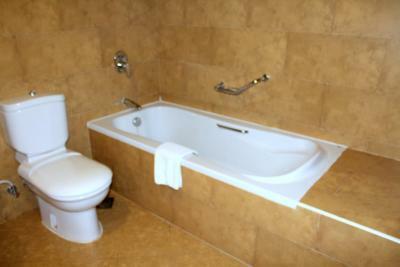 The bathroom is fitted with a shower and a bathtub. Guests can enjoy an international gourmet cuisine in Maxill Restaurant, which has an open kitchen. Room service is available 24/7. 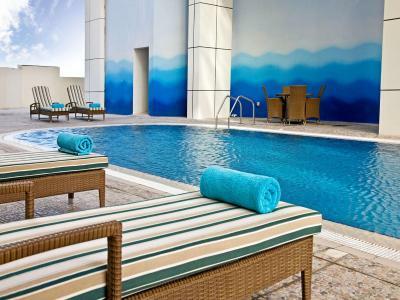 The Swiss-Belhotel Doha’s health club features a well-equipped fitness center and a sauna. 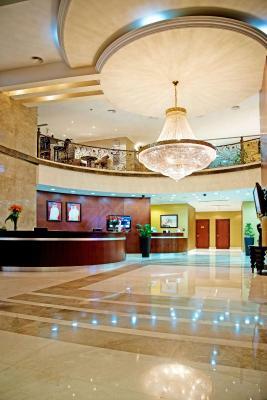 The hotel also provides a large jewelry shopping mall, an airport limousine service, and a 24-hour front desk. 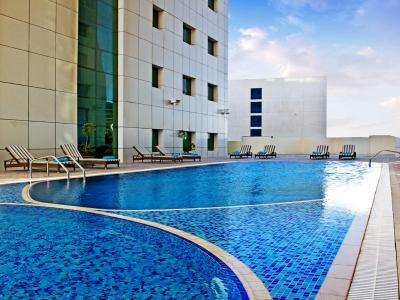 The Swiss-Belhotel Doha–Qatar is within walking distance of the Corniche, the Doha Marina, and Souq Waqif. 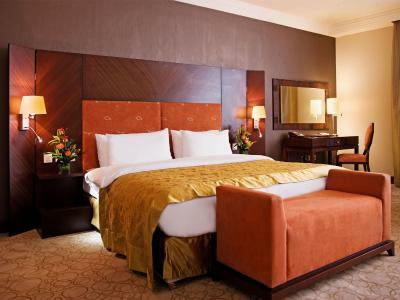 When would you like to stay at Swiss-Belhotel Doha -Qatar? 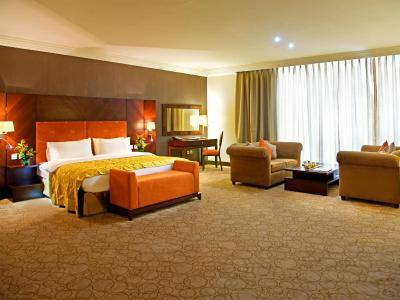 This spacious room is decorated with a contemporary style, air conditioning and free WiFi. Furnished with a king bed, this air-conditioned room features free high speed internet access, a flat-screen TV and a private bathroom. 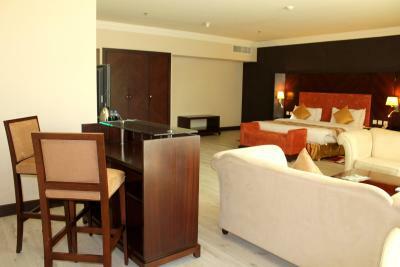 The Deluxe Suite features free Wi-Fi, a large living area with a flat-screen TV, a bar counter and an Espresso machine. This room has a spacious living room area in addition to a separate bedroom, and is beautifully decorated in a contemporary style. 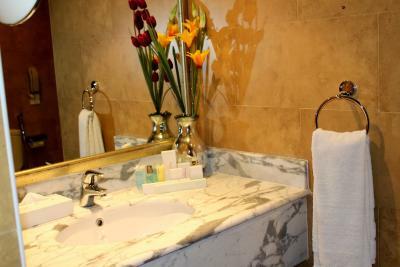 In addition to the standard room amenities, these suites also feature a private bar counter and an espresso machine. They include complimentary high speed internet access. 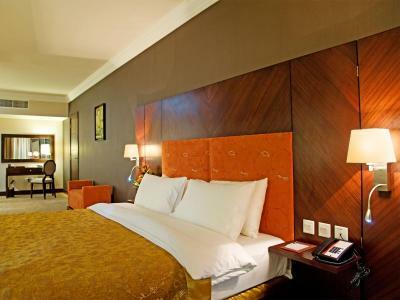 Spacious room including interactive TV, 3 IDD telephones, hospitality tray with a selection of tea and coffee, and daily newspaper. This spacious room is decorated with a contemporary style. It includes free breakfast, air conditioning and free WiFi. House Rules Swiss-Belhotel Doha -Qatar takes special requests – add in the next step! Swiss-Belhotel Doha -Qatar accepts these cards and reserves the right to temporarily hold an amount prior to arrival. Transfers by limousine to and from Doha International Airport are available on a request basis from the hotel. 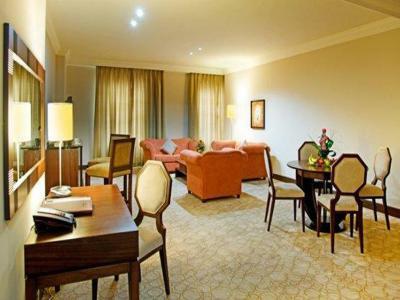 Please note that the hotel may pre-authorize the credit card to guarantee the booking prior to arrival. Please note that the physical credit card must be presented at the time of check-in. •3rd party credit card authorization signed by the credit card holder. •Scanned copy of the card holders passport. •Scanned copy of the credit card (both sides). The fridge in the hotel was not working and when I called to ask if I could get some ice instead I was told that I would need to pay for that even though it was not my responsibility. Took too long to get enough towels for both me and my partner. Fridge didn’t work. Big roomy bed. 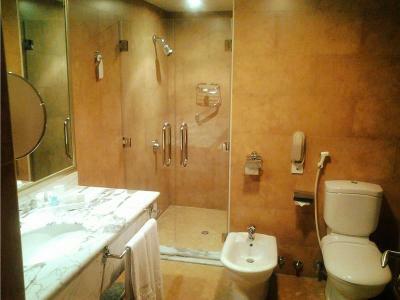 Nice shower en suite. Breakfast horrible and too expensive Room completely old, worn and dirty. Service not acceptable, no assistance. Filthy windows which spoilt the view! Inside door self lock was damage.